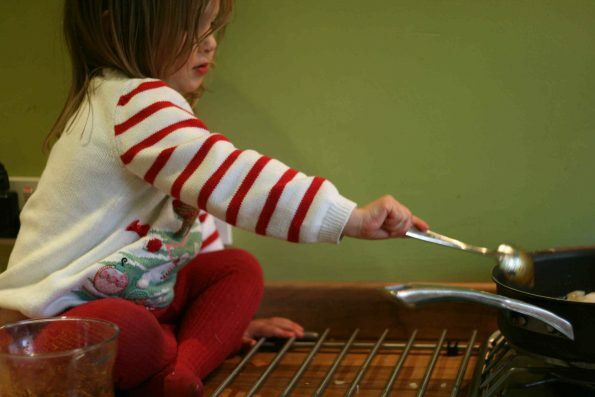 Here are our top tips for cooking with children. It doesn’t need to be stressful if you just prepare a little in advance! #1. Be prepared to have a bit of patience. You’ll need it! #3. Have everything you need ready from the start. I get out all the ingredients before we start so I don’t have to go looking for anything in the middle of cooking. #4. Set some ground rules. The big ones in our house include: no fingers on the chopping board when I’m cutting, no hands near the hob and stand back when the oven’s open. Hannah knows she’s not allowed to go past the pan rest unless I let her. #5. It’ll take longer to get anything done so don’t involve your little one too much if you’re in a hurry. #6. Let your little one give it a go. You might be surprised what they can do. #7. Keep things like knives out of reach from small hands when you’re not using them. #8. Once you’ve used what you need, put it away/out of reach. 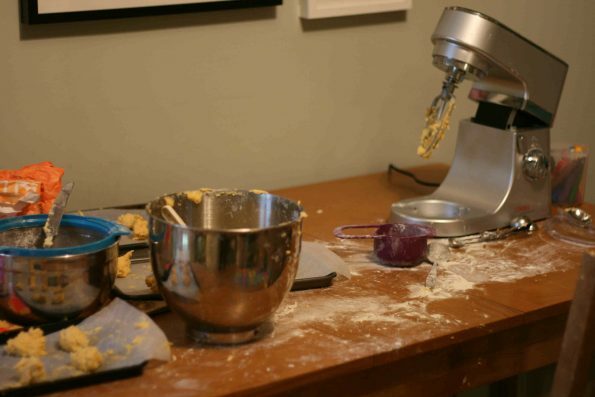 This especially applies for messy things like flour or icing sugar. #9. If you’re baking be prepared for it not to look like a showstopper from the Great British Bake Off – our baking looks like a toddler made it, but that’s fine! #10. 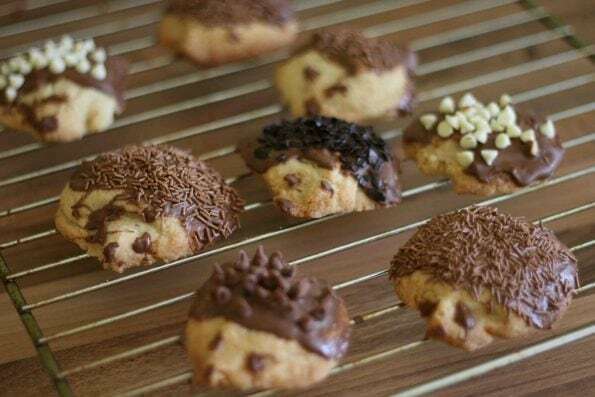 If you’re using a new recipe have a read of it before you start so you know what you’re doing and can keep your eye on what your kids are doing.